Don’t Miss The California Honeydrops w/ Georgia English & the Jukebox Kids | TONIGHT @ The Basement! The Bay Area jazz-folk-rock party band The California Honeydrops have been one of northern California’s best-kept secrets, bringing joy to festivals for years, and they’re making a stop at The Basement tonight, Oct. 21 with Americana five-piece Georgia English & the Jukebox Kids. The Honeydrops are just coming off the release of their fourth full-length, A River’s Invitation, and they’ve made their name by playing shows that continue the spirit of their start busking on the streets of the Bay Area, featuring lots of crowd participation making them more like a party than a traditional concert. Read on for more about the lineup and to grab tickets to a show that’s sure to be a better time than those indie rock concerts where everyone just stands there. This local Americana five-piece helmed by Georgia English recently released their debut full length Good Girls. While the group is now Nashville-based, English has something in common with the California Honeydrops as she is originally from San Francisco and learned her musical trade busking in Bay Area subway stations. English is a longtime fan of the Honeydrops, attended their shows in the Bay Area as a teenager, and cites them as a musical inspiration, so this will be a nice chance to see that kind of musical interplay between the two bands. 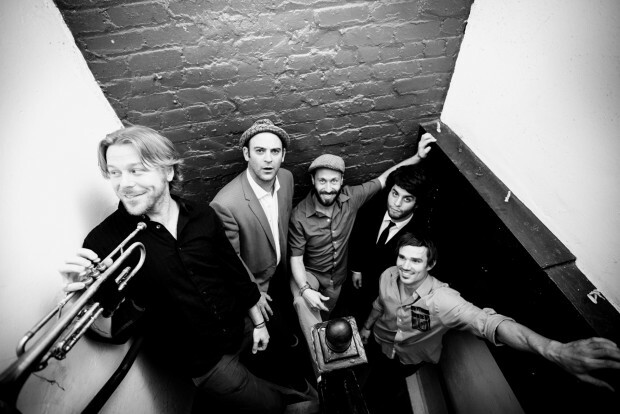 The California Honeydrops and Georgia English & the Jukebox Kids will perform tonight, Oct. 21 at The Basement. The show is 21+, begins at 9 p.m. (doors at 8:30 p.m.), and tickets are available for $10 in advance, $12 at the door. Prince Debuts New Single | Could He Be Prepping for a Bonnaroo Performance?